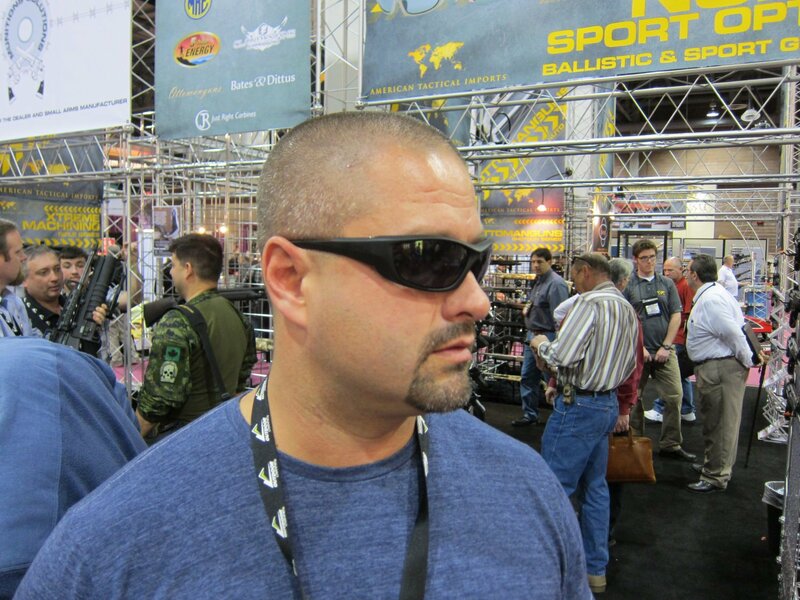 Is Numa Tactical Protective Eyewear the Baddest Ballistic Eyepro on the Planet? 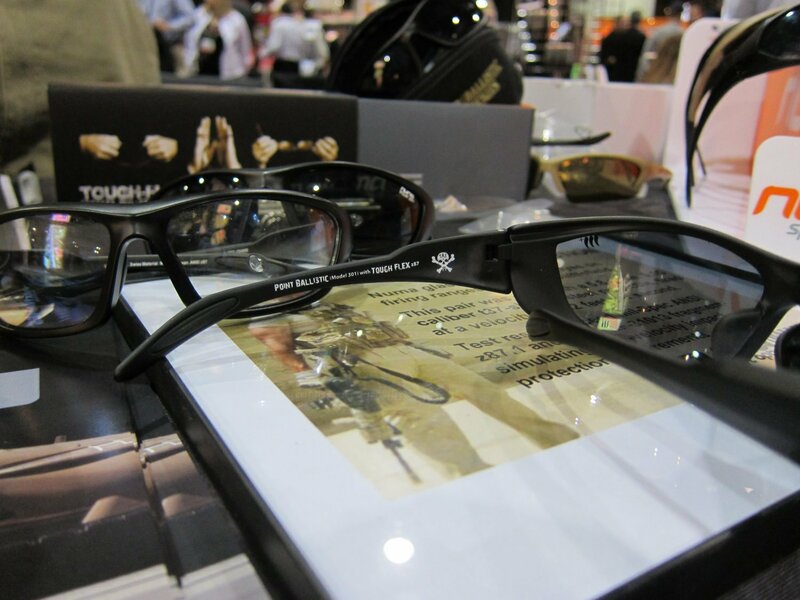 : DR’s SHOT Show 2011 Video Report Shows just how Tough these Combat/Tactical Sunglasses are. (Photos and Video!) | DefenseReview.com (DR): An online tactical technology and military defense technology magazine with particular focus on the latest and greatest tactical firearms news (tactical gun news), tactical gear news and tactical shooting news. All photos and video clips contained in this article were shot by DefenseReview.com (DR), and are copyrighted. DefenseReview.com owns the copyright on these materials. The photos were shot with a Canon PowerShot S90 10-megapixel digital camera (still camera with video capability). The video clips were shot with a Toshiba Camileo S30 HD Camcorder (pocket camcorder). February 18, 2011 Updated on 2/19/11. Numa Tactical (a division of Numa Sport Optics) ballistic eyepro (eye protection)/eyewear has become DefenseReview’s (DR’s) primary eye pro, as of late. For about the last year, we’ve been running their excellent Point Ballistic and (even lighter-weight and more minimalist) Chisel Ballistic models, specifically, and we’ve been very impressed with them. Like Oakley Standard Issue and Revision Military ballistic eyepro, Numa Tactical ballistic eyepro looks good and exceeds both ANSI Z87.1 industrial and MIL-PRF-31013 military standards against impact. 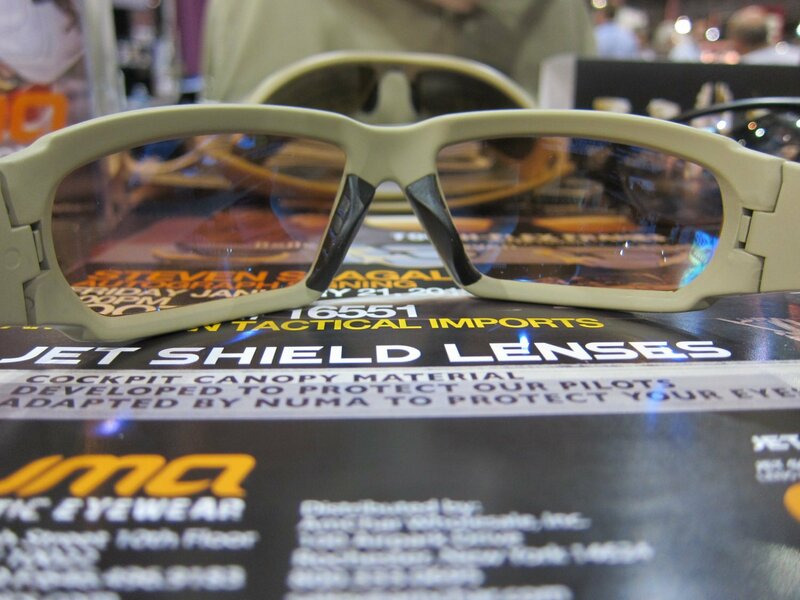 The Numa shooting specs also offer UV400 level protection against the sun, and offer some unique advantages of their own. First, they utilize the patented Swiss Tough-Flex flexible/bendable polymer frame material, which is both lightweight and extremely strong and flexible. 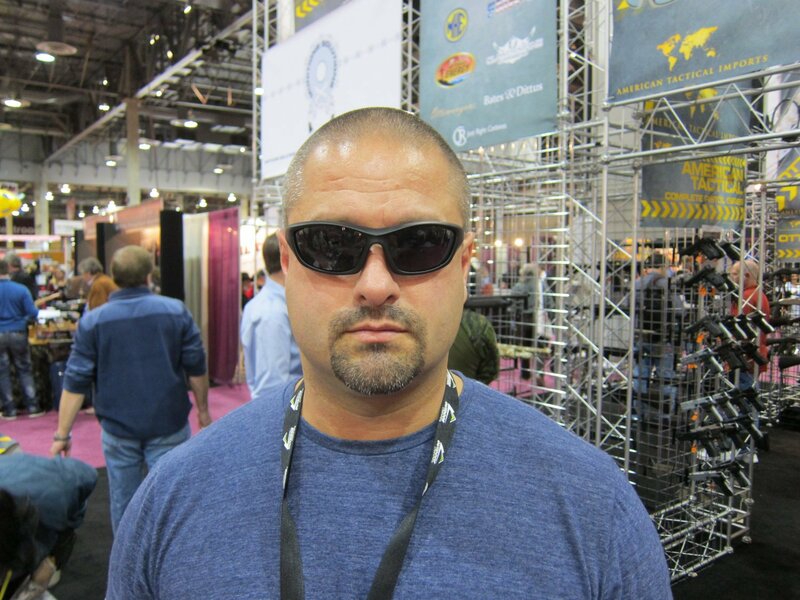 Tough-Flex is unique to Numa sunglasses, and is one of the primary features that separates them from the rest of the ballistic tactical eye pro field. Numa also offers a unique lens color called Mandarose (Trademarked), which is billed as a “breakthrough in light management technology”, and is supposed to be ideal for shooting and daytime urban tactical operations where the operator has to go right from outdoor to indoor environments, and back out again. You can read more about this, below. Numa Tactical sunglass lenses feature multiple coating combinations that allow the lenses to perform multiple tasks, from filtering visible light and UV rays to preventing fogging and scratching. It’s Defense Review’s understanding that Numa Tactical will soon be offering as an option a new polyurethane lens material called JetShield (Trademarked) that Numa claims offers superior optical clarity and 30% more impact resistance versus polycarbonate (at the same weight, we presume). The Numa Tactical JetShield lens option will therefore be a bit more expensive than the standard polycarbonate lens option. 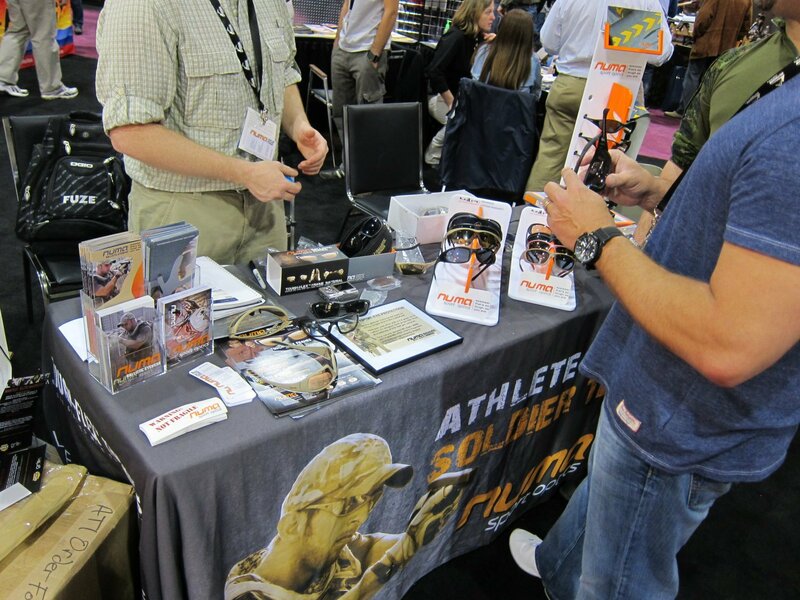 DR recently got to view and handle the latest and greatest Numa Tactical protective eyewear/tactical sunglasses at SHOT Show 2011, including the Numa Tactical “T.A.S. Blackout Series”, created for Tactical Assault Systems, and the Numa Tactical Seagal Signature Series with JetShield Lenses, and we liked what we saw. 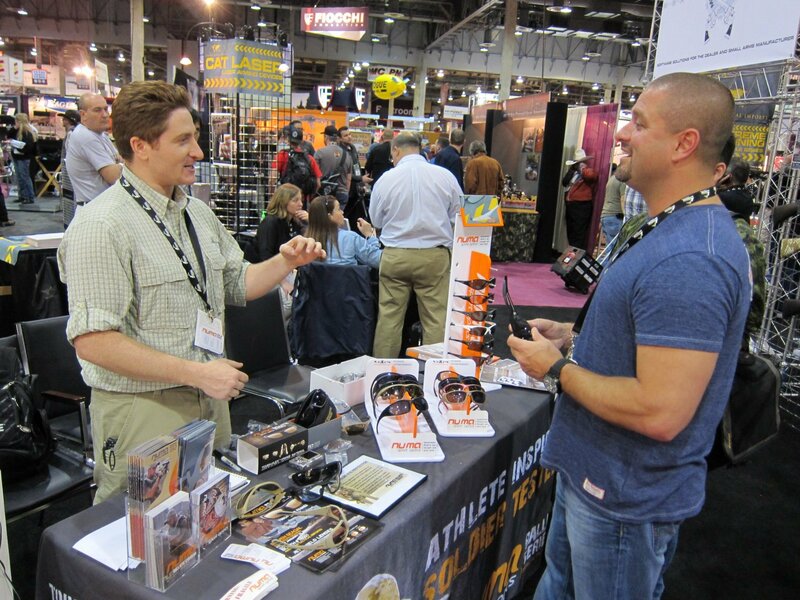 Jake Bennett of Numa Tactical spent a good amount of time taking us through the product demo, which was very interesting, and a fellow attendee named Eric Langevin, owner/partner of Price-Langevin & Associates, Inc., was kind enough to act as our model for the accompanying photos. The following are some video clips we shot of a Numa Tactical product demo conducted by Jake Bennett. Watch Jake demonstrate just how amazing the Numa Tactical frames and lenses are. Definitely worth watching! When you look out at a range of subjects you no longer see a crowd, you see each individual in that crowd: person A at 10 meters, person B at 20 meters, person C at 25 meters… When you are in the bush and look out at the trees, you don’t just see trees, you see every individual leaf. The applications for this lens are wide-ranging. They are ideal shooting and driving lenses and especially great for brightening up cloudy or overcast days. SWAT entry teams have reported to Numa that they favor these lenses for daytime entry work, because they are dark enough to block the worst of the light outside, and light enough to function effectively indoors. Using these lenses, your eye adjusts quicker when you enter the target house than if you went from bright daylight to indoors wearing clear or yellow lenses. Numa’s founder explained to us their reasoning in developing the new lens: “Traditional high contrast lenses, like yellow and orange, are harsh on the eye. They make you squint when you put them on. They cause eye fatigue when you wear them for too long. We knew this was not ideal, and wanted to create a high-contrast lens that you could wear all day. After extensive experimentation and field testing, we refined a dye package that is a mix of rose and orange tints. The rose element creates an eye-soothing effect by filtering out violet segments of the spectrum while the orange creates a high contrast effect by filtering out the blue/indigo that creates haze and diminishes visual acuity. The spectrograph of these lenses shows a wholly unique double-dip in their light spectrum filtration chart. 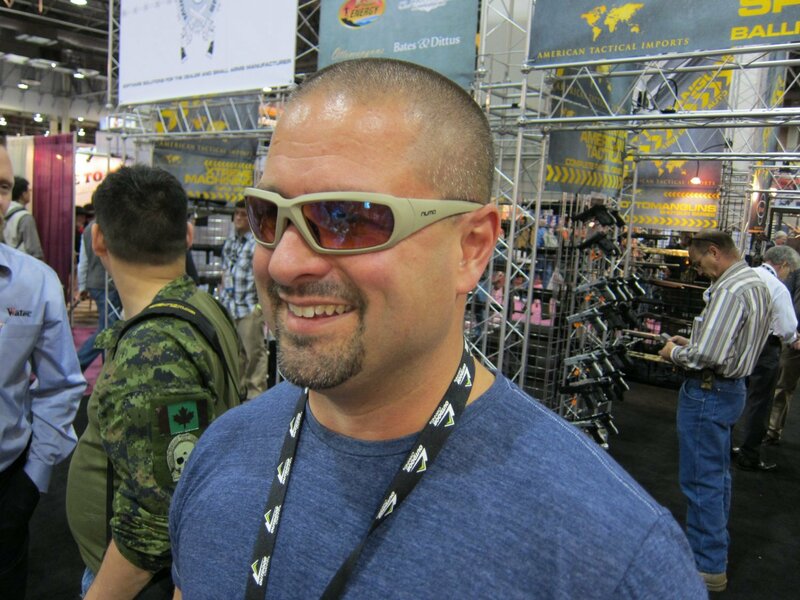 The series includes three ballistic models (the Point, Chisel and Reflex) and two sport models (LoPro and Shark), and all come with a 3-lens kit: Polarized Copper, Smoke and Clear. 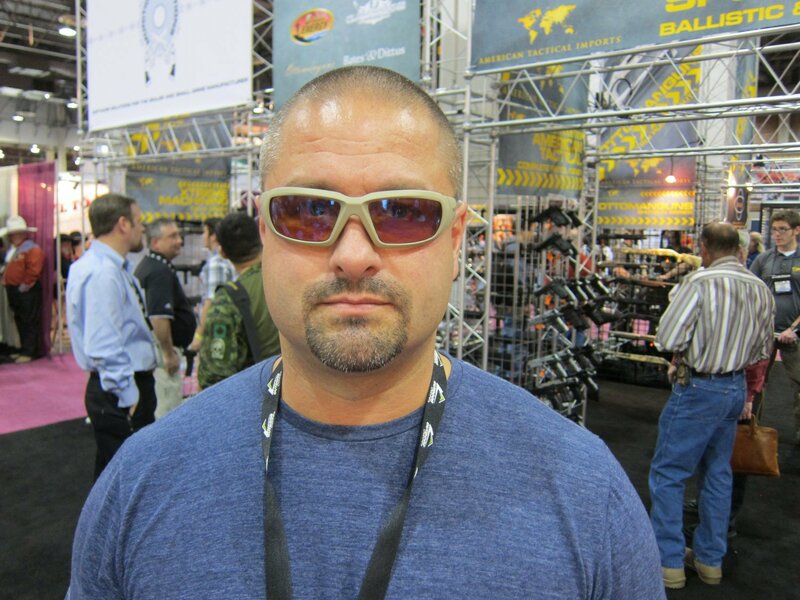 Seagal Signature Series & JetShield® Lenses: Numa also unveiled at Shot Show its forthcoming Seagal Signature Series with JetShield Lenses. People watching Steven Seagal in the news recently, as a cop on the force in the biggest drug bust of Arizona history two weeks ago, or hugging protégé Anderson Silva after his successful bout at UFC126 last week, might have noticed that Seagal doesn’t go anywhere without his Numas. Seagal swears by his eye protection and was overheard saying at Shot Show that these are the best sets of eye protection he has ever come across. Copyright 2011 DefenseReview.com. All rights reserved. This material may not be published, broadcast, rewritten or redistributed without receiving permission and providing proper credit and appropriate links.